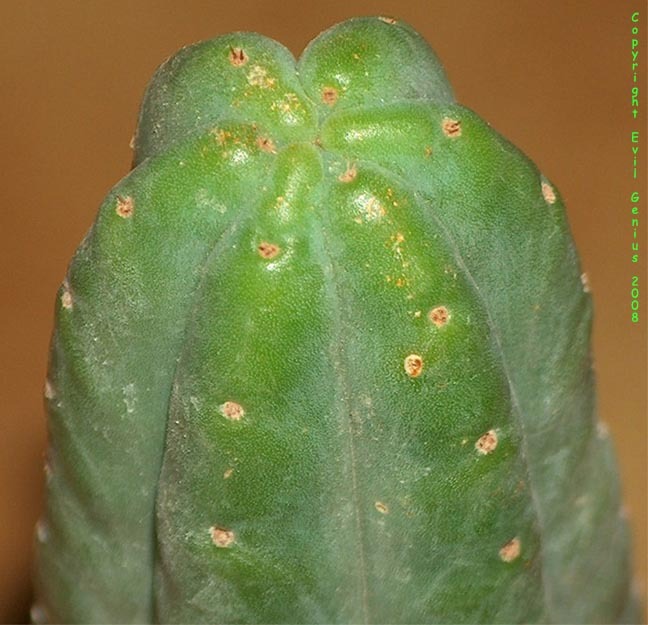 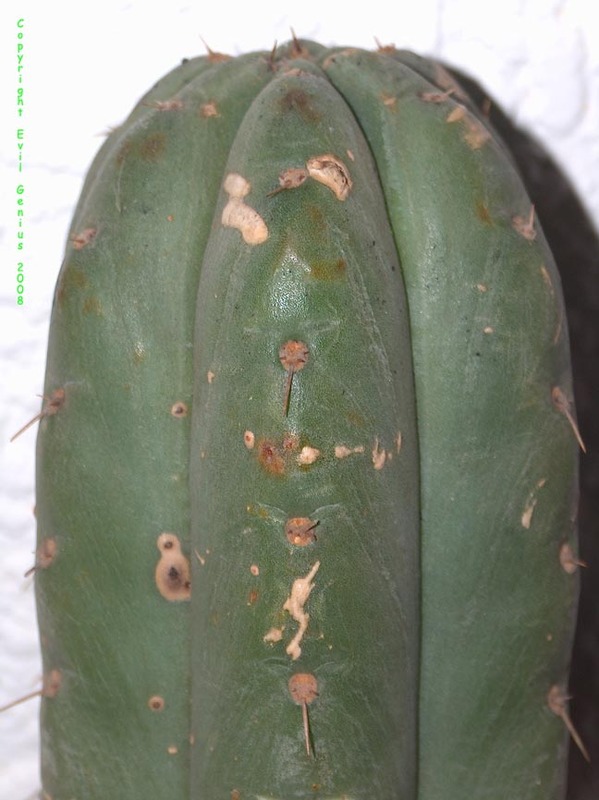 Some of the assorted horticultural pachanoi presently in Germany are shown in the following images. 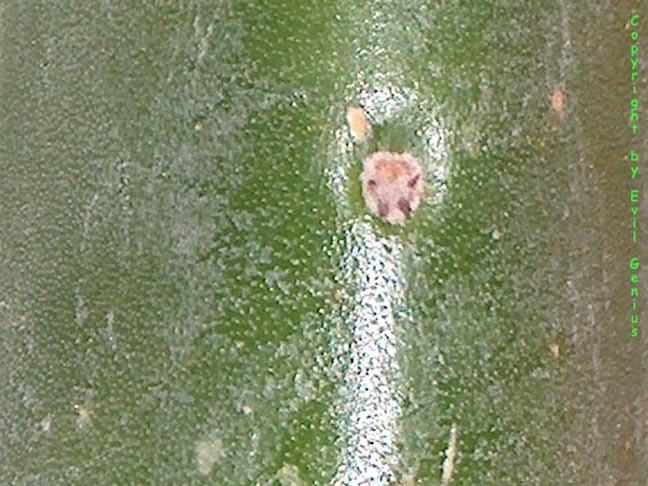 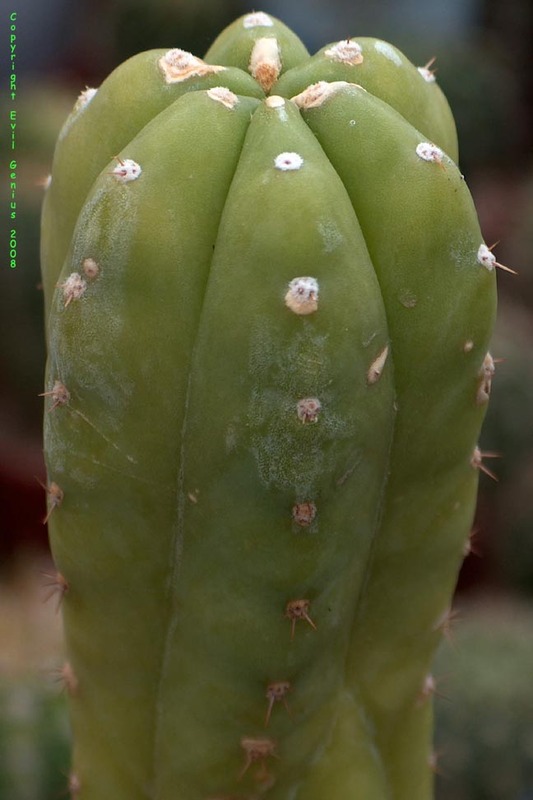 In many, perhaps most cases, the origin information for the assorted forms and collections of Trichocereus pachanoi forms that are present in Europe is not known. 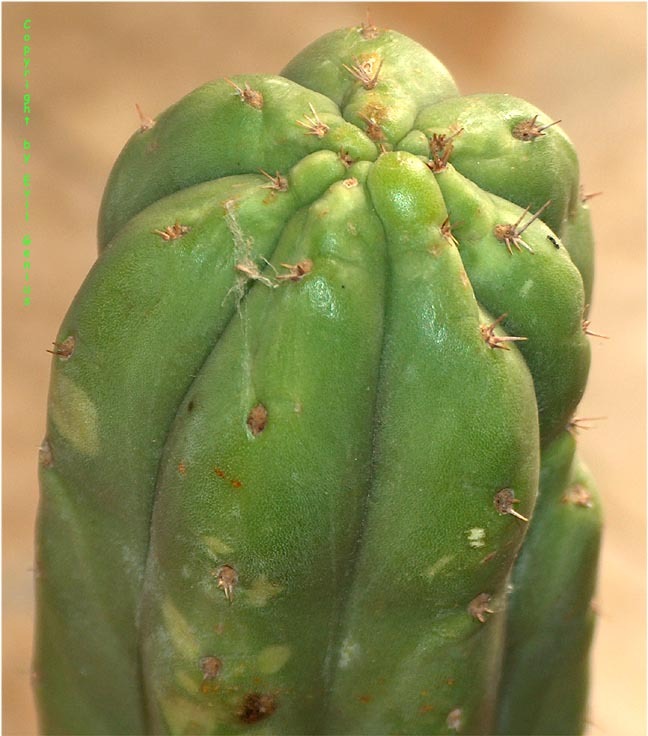 Many more Trichocereus images from Europe and elsewhere can be found at http://trichocereus.net. 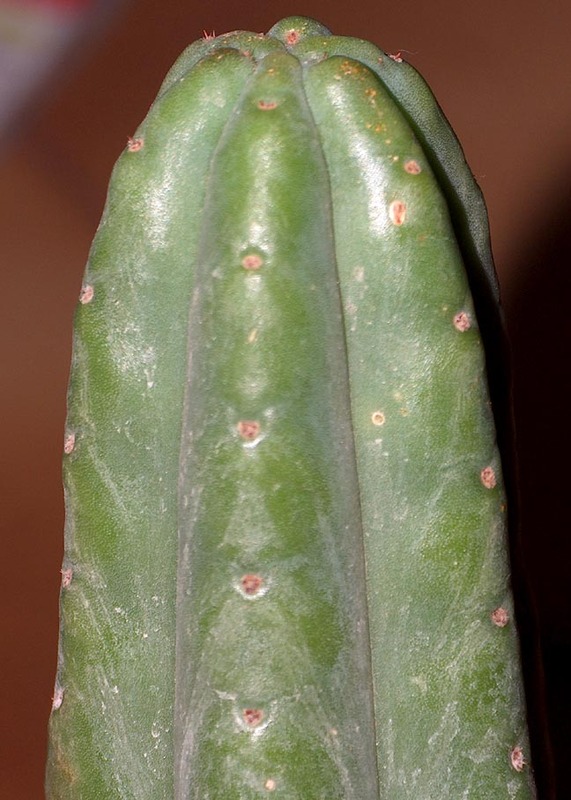 This was obtained from a cactus vendor in Spain. 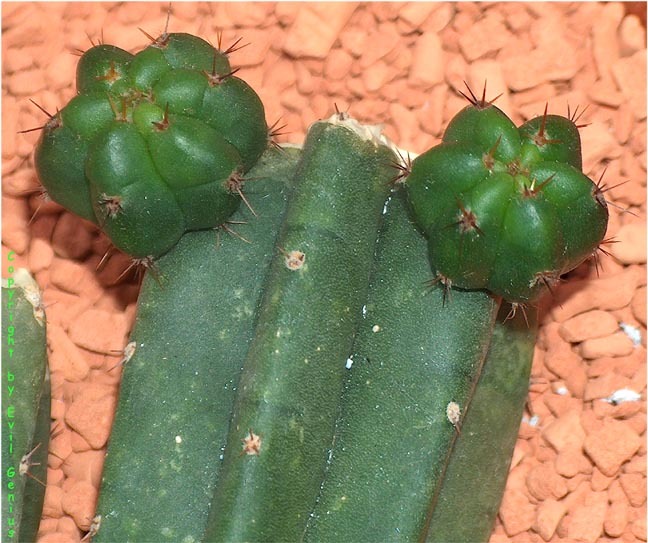 Some other pachanoi present in German horticulture; these are are lacking further information. 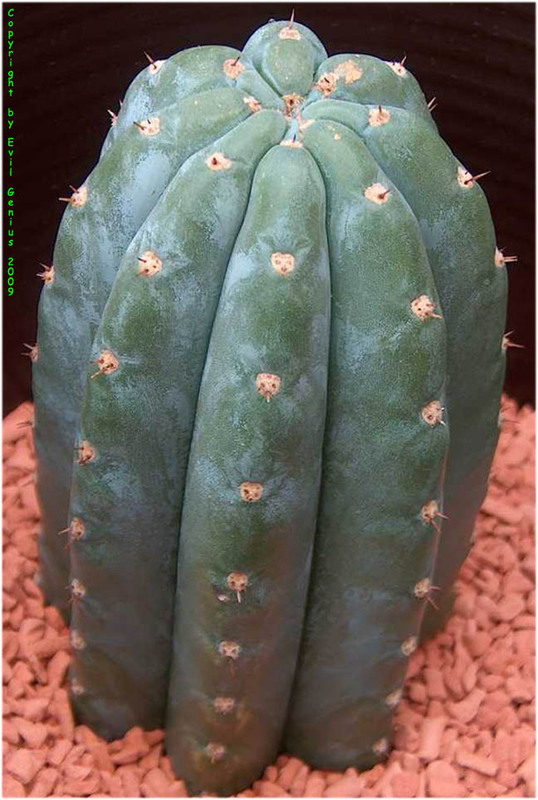 This is thusfar the oldest representative of a cactus line sold commercially as a pachanoi that Evil Genius can locate in Germany. 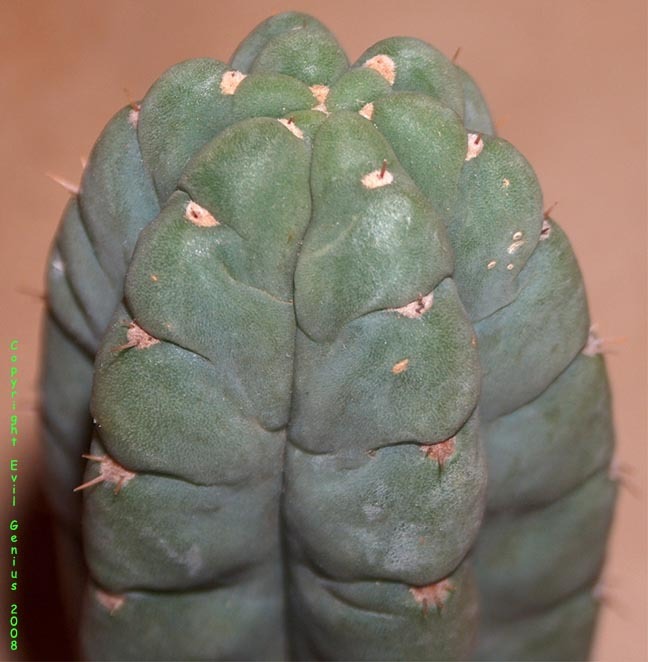 He has some questions concerning its identity and is working on learning more information.